For the last two years, voters have listened to this year’s crop of candidates wage their campaigns through television ads, radio spots and digital advertising. Now, it’s time to decide. Election Day dawned crisp and clear in Missoula on Tuesday, and the county’s team of election supervisors, staff and volunteers braced for a steady wave of voters looking to complete their same-day registration. 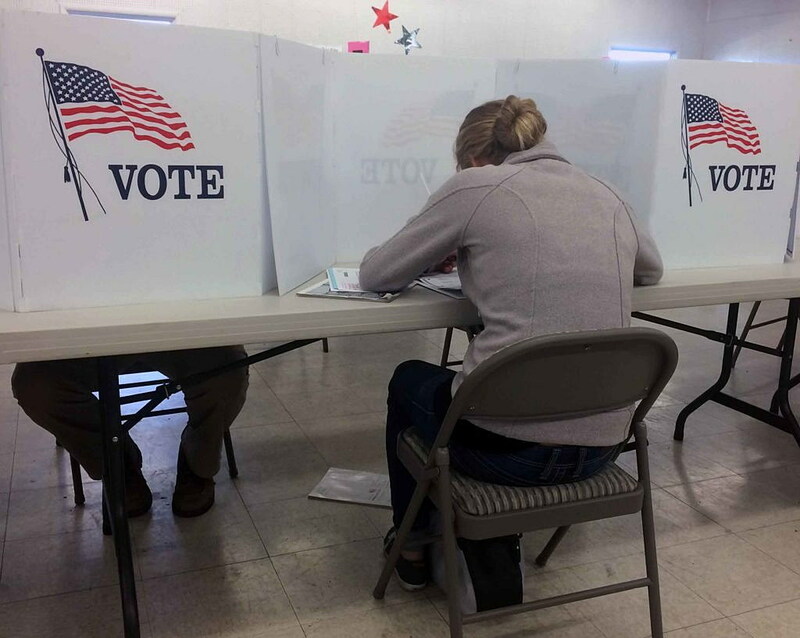 As of 2 p.m., more than 800 voters had been processed at the Missoula County Fairgrounds, allowing the late-comers to cast a ballot in this year’s historic election. Nearly 83,000 county residents are registered to vote, and Connors said 39,535 of them submitted an absentee ballot in this year’s election. That’s up from years past – something Connors attributes to this year’s ballot choices and improvements made by the county’s Elections Office. In the 2012 General Election, 58 percent of Missoula County voters elected President Barack Obama compared to 40 percent for Mitt Romney, though Romney carried the state with more than 55 percent of the vote. In the race for governor, Steve Bullock garnered 62.7 percent of the Missoula County vote to Rick Hill’s 33.7 percent. Bullock narrowly won the state by a 49 to 47.3 percent margin – boosted in part by Missoula County’s high voter turnout. This year’s ballot, which runs two and a half pages, includes several ballot initiatives, including a proposed bond for the Missoula Public Library, a ban on trapping on public lands, and changes to the state’s medical marijuana law. Bullock, a Democrat, and Rep. Ryan Zinke, R-Mont., are up for reelection. A seat on the Missoula Board of County Commissioners is at stake, as is a seat on the Montana Supreme Court. Down at the Russell School polling station, turnout was also high, with those casting their ballot the old-fashioned way – doing it in person. The 21 voting booths set up in the school’s gymnasium saw a steady flow of voters. Polls close at 8 p.m. and early returns are expected out shortly after.